Herzog & de Meuron have donated materials representing nine of the firm's built and unbuilt projects from 1994 and 2018 to the Museum of Modern Art. Presented through the firm’s charitable foundation, the Jacques Herzog and Pierre de Meuron Kabinett, the gift will include 23 physical objects, including models, architectural fragments, sketches, and digital assets. In a statement, MoMA said that the nine projects showcase the firm’s three-decades-long work challenging conventions of materiality, structure, and typology. Four projects, in particular, will demonstrate these things: Dominus Winery in Napa Valley, California; 1111 Lincoln Road in Miami Beach, Florida; 56 Leonard in New York; and the Elbphilharmonie in Hamburg, Germany. The donation will also highlight collaborations with famous artists. Work with Thomas Ruff on the Eberswalde Technical School Library in Germany, with Michael Craig-Martin on the Laban Dance Centre in London, and with Ai Weiwei on the National Stadium in Beijing will be spotlighted. MoMA’s permanent collection already includes four architectural projects done by the Swiss firm from 1988 to 1997 and one design object from 2002. Martino Stierli, the chief curator of architecture and design at MoMA, said in a statement that the new works will be a key feature of the museum’s newly expanded galleries, opening this spring. Herzog & de Meuron has completed the first building in a massive new tech campus being developed outside Moscow. The Skolkovo Institute of Science and Technology (Skoltech) University East Wing Building is the hub of District 3 of the five-district Skolkovo community. Skolkovo is a new ground-up development meant to be a home for research and technology just outside the Russian capital. District 3 houses the area's university, Skoltech, which will live in the new East Wing Building and two forthcoming structures also designed by the star Swiss firm. The new 1,442,000-square-foot building takes the form of a massive partially-filled ring with a 919-foot diameter. The outer ring and two smaller inner rings house academic facilities, shared spaces, and an auditorium, while staggered bars stretch across the building to house workshops and laboratories. A large basement floor runs across the structure's footprint to accommodate support and technical facilities. A jigsaw roofline cuts across the bars and rings to unite the structure. One result of the building's distinctive parti is a collection of courtyards of various shapes and sizes. These outdoor areas are framed by the building's striated facade, which materially codes the ring and bar spaces. The rings are clad in vertical larch wood fins, while white aluminum fins skin the bars. 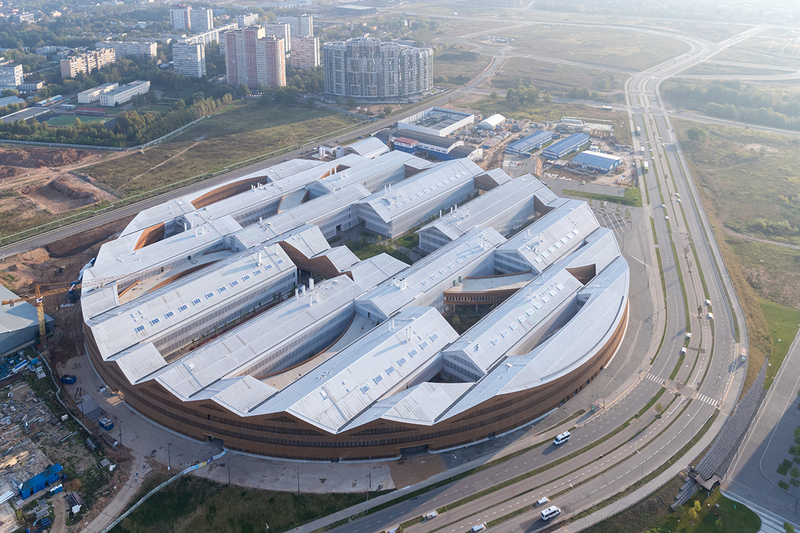 The building is not the first ring-shaped structure for Skolkovo. In 2010 David Adjaye completed a building for the Moscow School of Management Skolkovo with a large circular podium topped by cantilevering bars. Foster + Partners more recently completed Apple's headquarters with another circular design for a tech campus. Swiss firm Herzog & de Meuron has released revised renderings for its four-story addition to Berlin's Kulturforum (Culture Forum) complex. 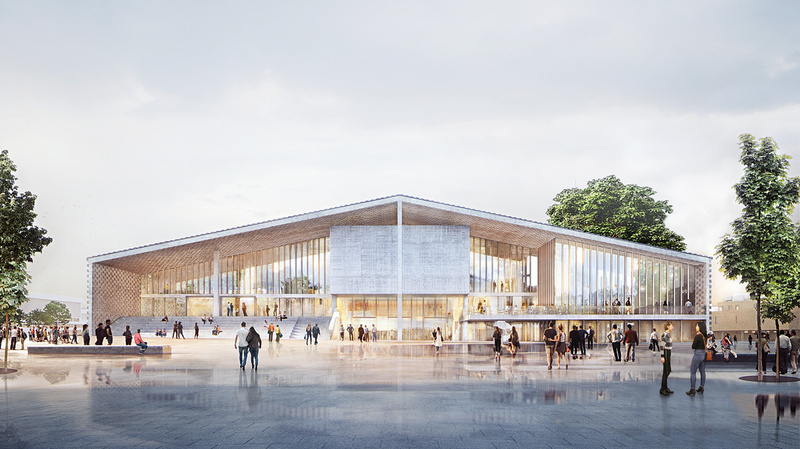 The firm's winning entry for the Museum of the 20th Century, first revealed in 2016, is intended to increase gallery space for the Mies van der Rohe–designed Neue Nationalgalerie, store artworks, and connect the different cultural institutions in the area. The design is developed in collaboration with the Neue Nationalgalerie, the Berlin State Museums, and the Prussian Cultural Heritage Foundation. 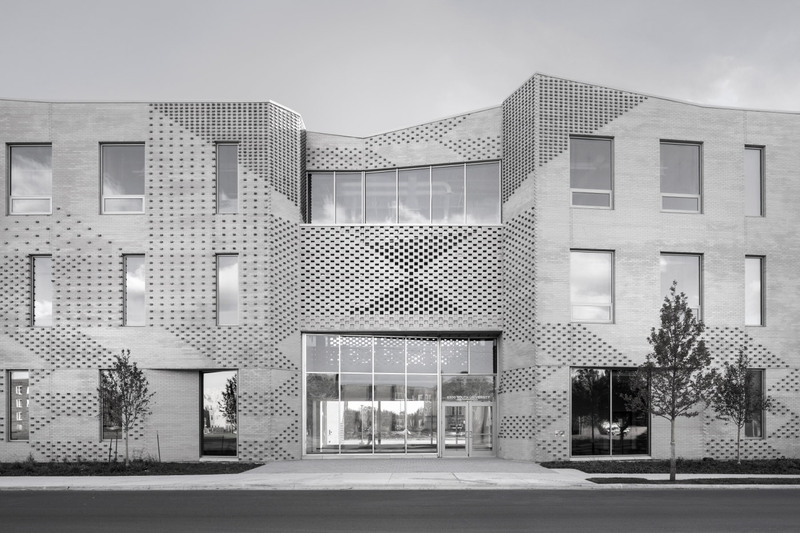 The building nods to the nearby Matthew Church in both its materiality and form, with its pixelated brick patterning and a vernacular gabled roof profile. 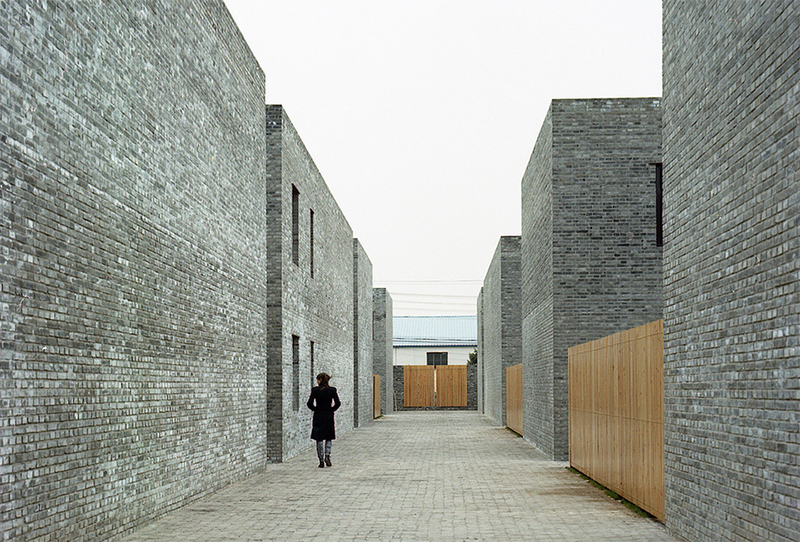 The design also references warehouses, barns, and train stations. News renderings show a building with distinct facades on each side and multiple entry points that open to different parts of the cultural complex and the city, with a central area for showcasing large-scale modernist art. The multiple-entry design also allows for events to take place in a screening theatre outside of regular museum hours. Overall, the museum demonstrates a decidedly urban ethos in fully embracing its surrounding context, from the architecture by van der Rohe and Hans Scharoun to much older structures. 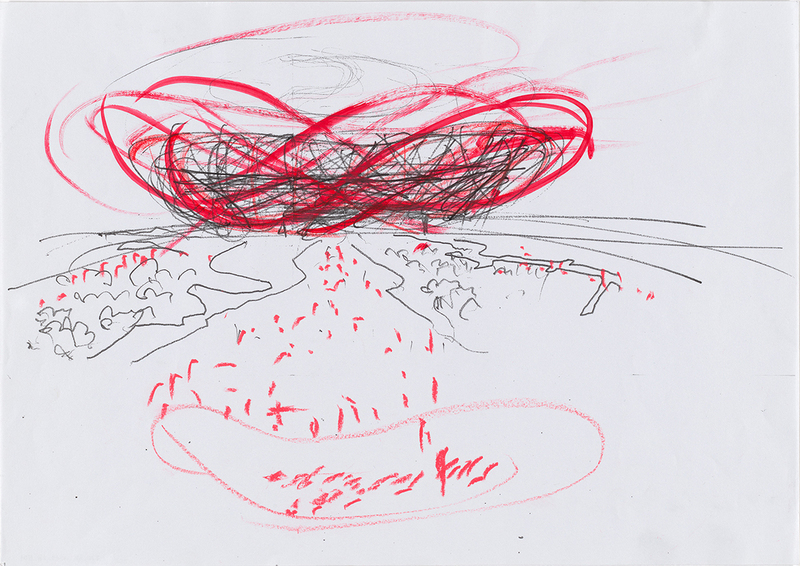 According to Jaques Herzog, "Our urban planning concept for the Kulturforum is a concept of density, not of emptiness. 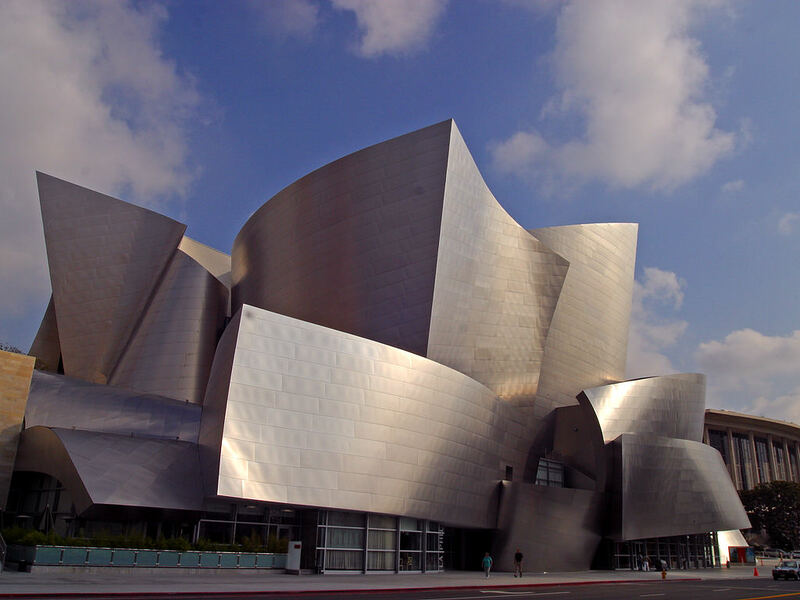 It organizes an interplay of buildings put into precise relation with each other, and it also initiates the interaction of the cultural institutions established in those buildings." 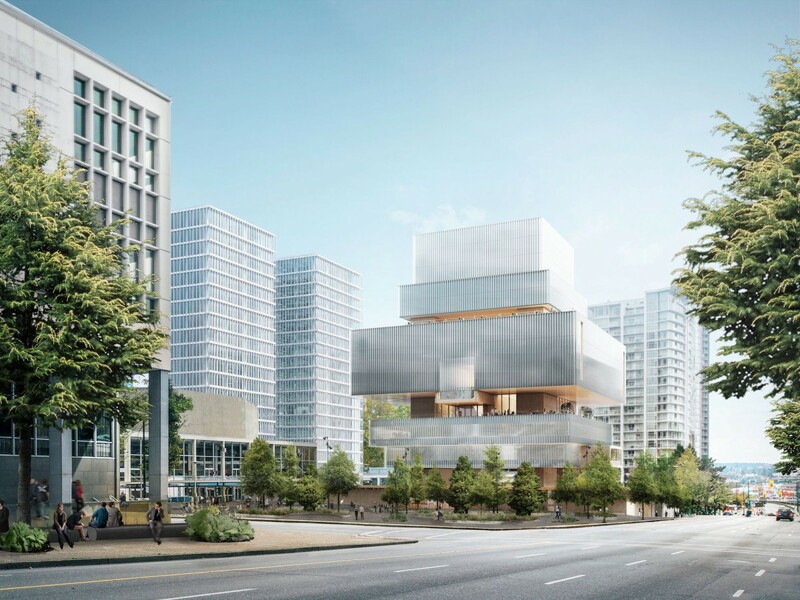 The Harvard Graduate School of Design (GSD) has announced that Swiss architects Herzog & de Meuron have been selected to design a “transformative” expansion of Gund Hall, the GSD’s main building on the Harvard campus. New York-based Beyer Blinder Belle (BBB) will serve as executive architect on the project. 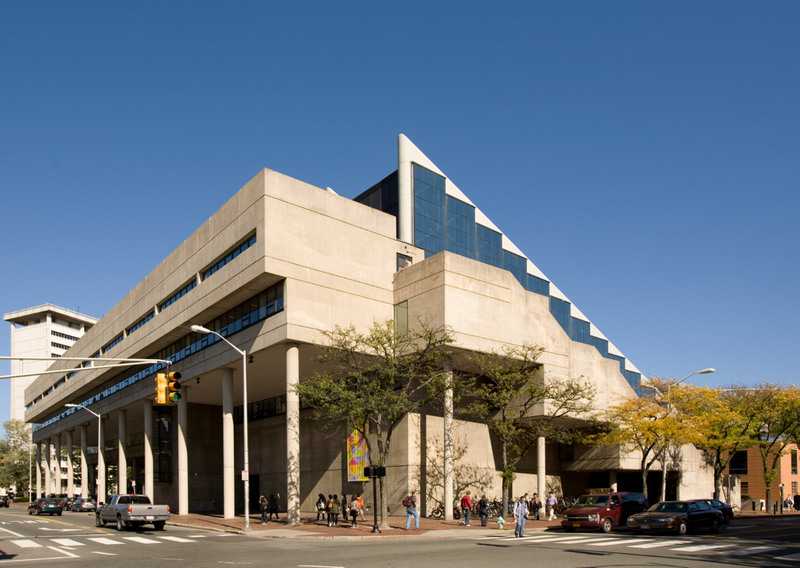 Gund Hall, designed by Australia architect and GSD alumnus John Andrews, opened in 1972. The building has a distinct presence, as the brutalist hall’s exposed concrete, dramatic slope, and multi-story overhangs set it apart from the other buildings on Harvard’s campus. The new expansion is expected to create an intersection for the administrative rooms, classrooms, studio space (called “the trays”), research library, and social gathering spaces currently within Gund Hall. In a statement, the GSD mentioned that the expansion will have a minimal footprint and won’t require reclaiming any of the campus’s greenspace. When the project is complete, it should completely reorganize the programmatic flow of Gund Hall and create a more space-efficient building. “The GSD’s groundbreaking collaborations with theoretical and applied disciplines, and other professional schools at Harvard, bring collective expertise to bear in addressing the most pressing social and environmental challenges of our time through design innovation,” said Mohsen Mostafavi, Dean and Alexander and Victoria Wiley Professor of Design, Harvard GSD, in a statement sent to AN. “Herzog & de Meuron and BBB have carefully studied and observed the School’s many qualities and characteristics, and they have a bold design vision for the GSD and its engagement with other disciplines and professional schools across Harvard, and for its impact on the world. We are excited to collaborate with both firms on the creation of an important and dynamic center for design innovation here at the GSD.” Both Herzog & de Meuron and BBB have extensive histories with Harvard. Jacques Herzog and Pierre de Meuron have been teaching and conducting research projects with the school since the 1980’s, and BBB has completed several projects on the campus over the last 14 years. Their most recent work includes renovations to the historically sensitive Winthrop and Adams Houses. No completion date or cost estimates have been released yet. AN will follow this story up once design details and renderings of the expansion are released. 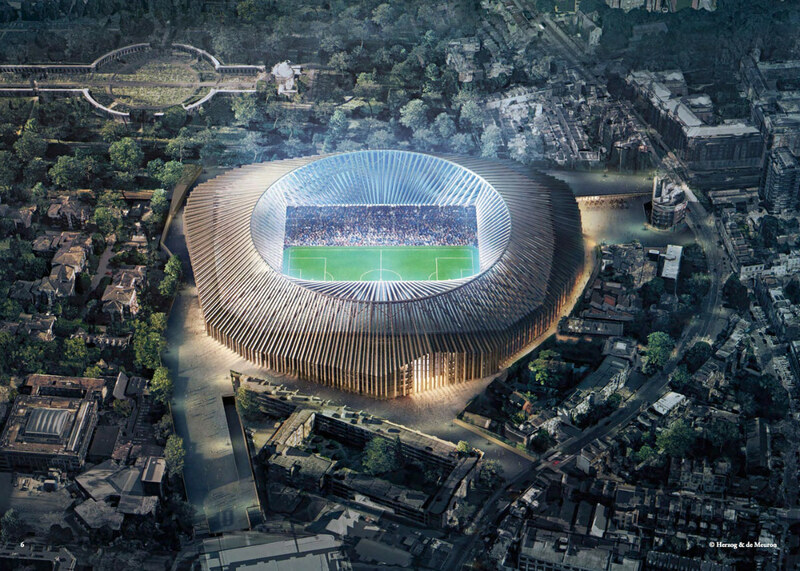 Plans for the $1.3 billion gothic revamp of British soccer team Chelsea Football Club’s Stamford Bridge stadium in London have been shelved, according to a cryptic message posted on the club’s website citing “the current unfavourable investment climate.” First revealed in 2015, the Herzog & de Meuron-designed stadium would have replaced Chelsea’s current field along with the surrounding buildings, and put up a 60,000-seat replacement in its stead. Initially pegged as a $664 million project, costs rose as delays and lawsuits from homeowners and businesses who would be in the new stadium’s shadow mounted. The stadium’s defining feature (aside from the 20,000 new seats, all of which were promised unobstructed views) would have been the 264 brick buttresses ringing the field. The arches would form a covered loggia around the stadium’s central pitch, and supported a steel ring above the field, providing the structural supports for the additional seats, shops, a museum, and a restaurant. Both the brickwork as well as the black, wrought-iron detailing are less-than-subtle references to vernacular British architecture; Herzog & de Meuron described the vaulting design as a “cathedral of football.” The Guardian paints a more comprehensive picture of why the project was put on hold. Chelsea club owner Roman Abramovich, a Russian-Israeli businessman, has found himself caught in the crossfire of the worsening relationship between the United Kingdom and Russia. Abramovich has found himself unable to renew his investor visa, and as the delays mounted, the billionaire expressed frustration at the idea of investing in a country that was delaying his ability to do business. While Abramovich would still be allowed to stay in Britain, he technically wouldn’t be able to do any work there. AN will update this story as more information becomes available. United Talent Agency (UTA) will be moving their Los Angeles art space from Boyle Heights to a former warehouse in Beverly Hills this summer with an architectural overhaul designed by their own client, renowned Chinese artist Ai Weiwei. UTA opened their first art space in 2016 after founding a fine arts division to represent high-profile artists in 2015. While getting some positive press from art world critics, the space, along with a number of other L.A. galleries, received flack and community pushback for contributing to gentrification in the Eastside. Perhaps it is then fitting that UTA Artist Space will be relocating to Beverly Hills, taking over a 4,000-square-foot former diamond-tooling facility. Ai’s yet-to-be-released design is inspired in part by the architectural similarities of the concrete Los Angeles warehouse to his own Beijing studio. This is hardly Ai’s first foray into architecture. 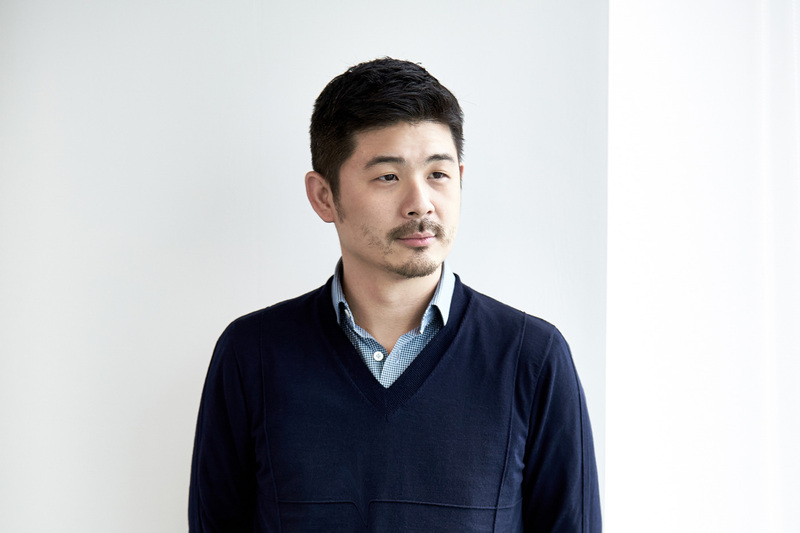 The artist has collaborated with Herzog & de Meuron on more than one occasion, including on major commissions like the Beijing National Stadium (commonly referred to as the “bird’s nest”) and the firm’s 2012 Serpentine pavilion. Ai has also collaborated with other firms on architectural projects and, since 2003, has run his own architecture firm FAKE Design. While Ai himself will exhibit a series of new marble works at the new UTA Artist Space this October, the gallery will open in July with a color field-focused show entitled One Shot featuring the work of Morris Louis, Helen Frankenthaler, Kenneth Noland, Sam Gilliam, and Jules Olitski, among others. Buildings have been reliable photography subjects since the medium’s invention, and a new exhibition at the Parrish Art Museum in Southampton, New York, tracks how architectural photography sells a narrative as much as the buildings themselves. 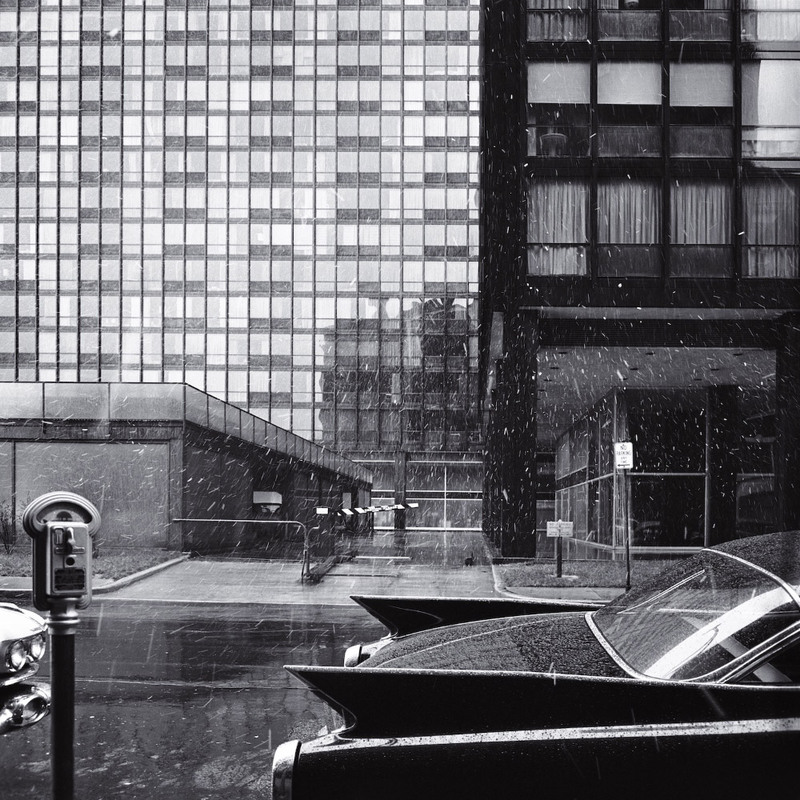 Through careful selection by guest curator Therese Lichtenstein, Image Building: How Photography Transforms Architecture examines how architectural photography inherently creates subjective experiences. From now until June 17, 2018, patrons can view 57 images by 17 renowned and lesser-known photographers who shaped a language of architectural photography that’s survived well into the age of Instagram. Organized thematically intro three sections, Cityscapes, Domestic Spaces, and Public Places, Image Building places historical photographs alongside contemporary images to track an evolution in style, technique, and places themselves. Modernism has proven an especially rich vein for these comparisons. Image Building places Julius Shulman’s carefully staged Case Study House photos against images of quotidian features from cookie-cutter, low-income housing. Each series is trying to sell something, whether it be an idealized life of post-war leisure, or commentary on the alienation that mass-produced housing induces. This dichotomy is on display throughout the exhibition, and hammers home the heightened artificiality of architectural photography. Buildings are three-dimensional structures and flattening them hands the narrative over to the photographer. For instance, Hiroshi Sugimoto’s fragile, out-of-focus takes on famously photographed architectural landmarks are a commentary on their now-lessened status in the world, having been sidelined and (literally) overshadowed in the years since their construction. But this series serves another purpose, as it highlights how vital the technical aspects–light, depth of field, the use of color–are to each photograph's meaning. Take Iwan Baan’s delirious photos of Torre de David in Caracas, Venezuela. Devoid of people, but featuring the scattered items they’ve left behind, Baan captures the chaotic energy present in the half-finished Torre de David skyscraper, now overrun with squatters, from the perspective of its inhabitants. Looking at The City and the Storm, Baan’s aerial photo of a Manhattan plunged into darkness following Hurricane Sandy, Baan singles out what he calls the “electricity haves and have-nots,” as viewers are drawn to the centers of finance that serve as islands of light in a darkened city. The Parrish Art Museum, designed by Herzog & de Meuron and shaped like an extruded “M,” built from simple materials and completed in 2012, played an important part in the foundation of Image Building. As Lichtenstein told AN, the Parrish itself was partly the inspiration for the show. The way it was sited, the photographs that Baan took of the building, and the long, uninterrupted views down the museum’s “wings” all stoked questions of how photography proliferates the ideas behind the buildings themselves. As it becomes easier and easier to proliferate images of buildings, looking back to the history of the form may provide an important tool for the professional and amateur architectural photographer alike. On Saturday, April 14 2018 at 5:00 PM, the Parrish Museum will host a dialogue between The Architect's Newspaper's Editor in Chief William Menking and photographer Iwan Baan on the use of photography to instill buildings with feeling and meaning. More information on the talk can be found here. Prada has thrown its 2018 fall menswear collection back to the 90’s, with a fashion show in Milan that put utilitarian black nylon front and center. Rem Koolhaas, Herzog & de Meuron, French designers Ronan & Erwan Bouroullec, and German industrial designer Konstantin Grcic were all invited to interpret the material through an industrial lens to create a unique item for the collection. Fashion designer Miuccia Prada’s rise to fame was built on black nylon in 1984; in weaving nylon, typically used for packaging at the time and not clothing, into the landmark luxury “Vela” bag, Prada transformed the luxury brand into a contemporary clothing company. The same waterproof “Pocone” nylon used in the original Vela bag was on full display yesterday at Prada’s preview of its Autumn Winter 2018 menswear collection in Milan. Instead of flash or color, the focus was on form and usage, and the menswear fashion week show was appropriately staged in an industrial warehouse with a Prada twist. The storage facility in Viale Ortles, Milan, was plastered with throwbacks to Prada’s past and lit with blues, reds and purples by AMO, the research and branding studio of OMA. This isn’t the first time AMO has worked with Prada, as they also designed Prada’s 2017 Spring/Summer venue. 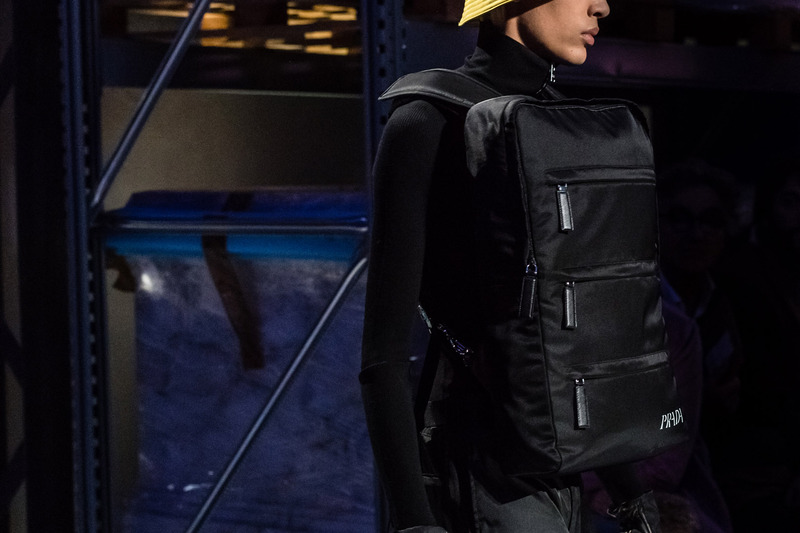 OMA founding principal Rem Koolhaas contributed a backwards backpack to the show, designing a black nylon pack meant to be worn on the front of the body. The boxy container is meant to be first and foremost accessible, as Koolhaas notes that the convenience of a backpack is negated by having to take it off to access. “The shape of the backpack has the convenience of flexibility, the location–the back–the huge inconvenience that it is fundamentally inaccessible to the wearer,” Koolhaas told Prada. In the same way the Vela bag advanced the backpack through material, Koolhaas’s pack was meant to be the next step forward in the bag’s shape. Jacques Herzog and Pierre de Meuron chose to focus on the clothing side, designing a shirt patterned with what looks like statements in English, but reveals itself to be gibberish upon closer examination. Calling language useless, Herzog & de Meuron reduced words to nothing more than ornamentation as a commentary on the way untrue information has saturated our daily lives. “It has lost its seductive power. There is nothing new, nothing critical, nothing true in language that cannot be turned into its opposite and claimed to be equally true. Language has become an empty vehicle of information,” reads Herzog & de Meuron’s statement to Prada. OMA and Koolhaas have had a longstanding partnership with Prada, collaborating on everything from a 120,000-square-foot arts complex in Milan, to the Prada “Epicenter” in New York. All of Prada’s 2018 Autumn/Winter menswear collection can be found here.